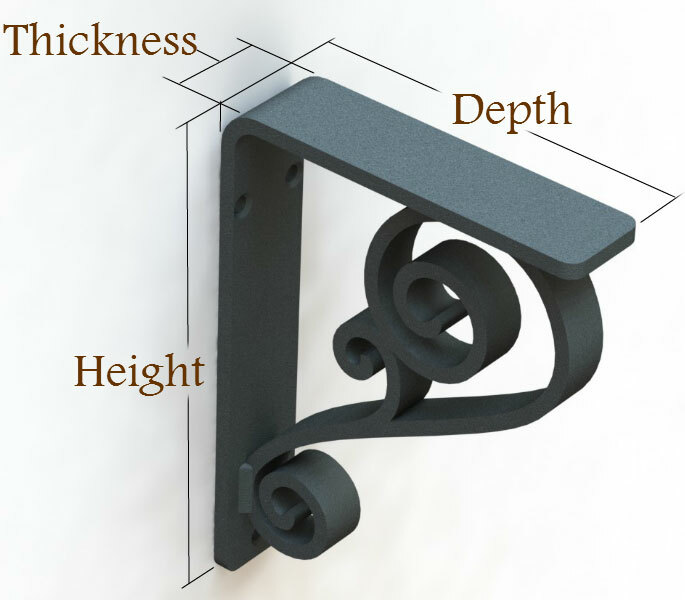 The Russell Corbel is a decorative and functional iron bracket made from solid steel. This iron corbel measures 1.5" wide and is available in the following bracket sizes 5 x 7 x 1.5; 6 x 8 x 1.5; 7 x 9 x 1.5; 8 x 10 x 1.5; 9 x 11 x 1.5; 10 x 12 x 1.5. Common uses for our Russell Corbels include granite & stone counter top supports, shelving brackets, fireplace mantel support and much more. 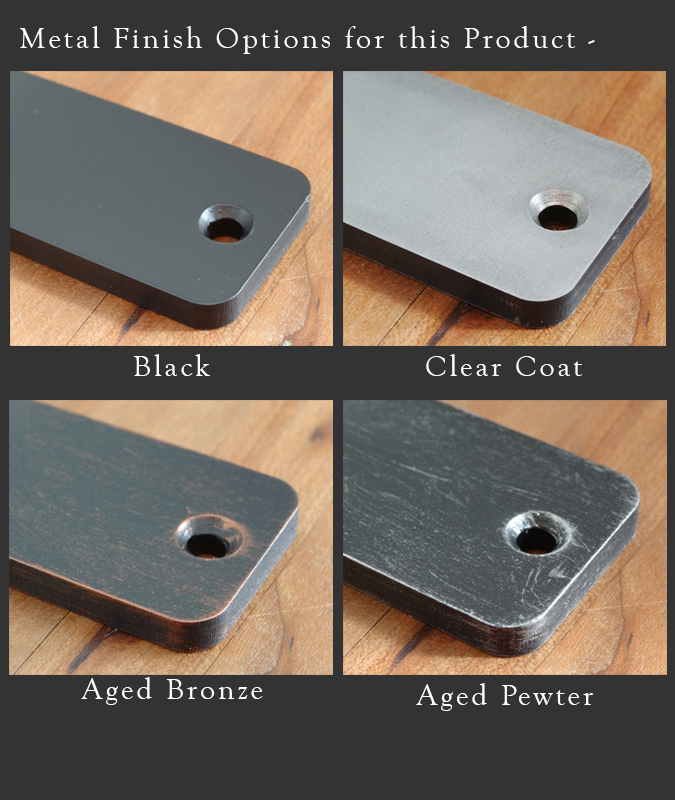 You can choose from 4 finish options including Black; Aged Bronze; Aged Pewter; or Clear Coat (over raw metal). Want to paint this corbel yourself? Choose "Raw Material" in the finish options drop-down and your corbels will arrive ready for you to paint (you will want to clean them of skin oils, dust & dirt before applying your own finish). We were looking for something unique and found tons of options with Timeless Wrought Iron. Service is great, too! We ordered these sight unseen which always makes me nervous. Based on the description and the reviews, it seemed to be a safe bet. They arrived in good shape and were better than expected in terms of quality. VERY heavy, substantial corbels. Nothing dinky about them. My client loved them, and they look perfect with the old barnwood mantel we built.